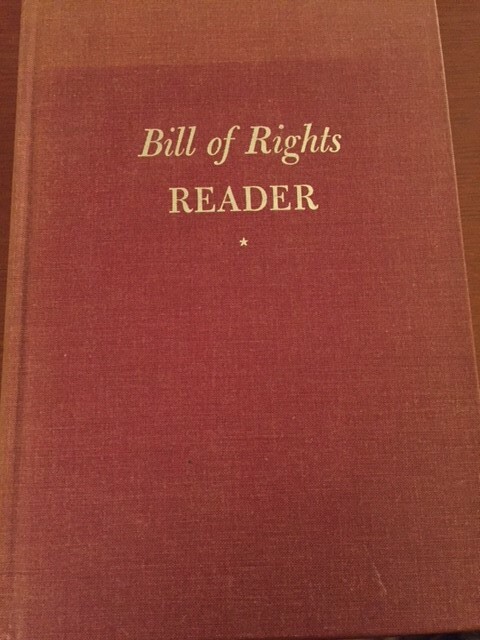 Bill of Rights Reader, 3rd edition. 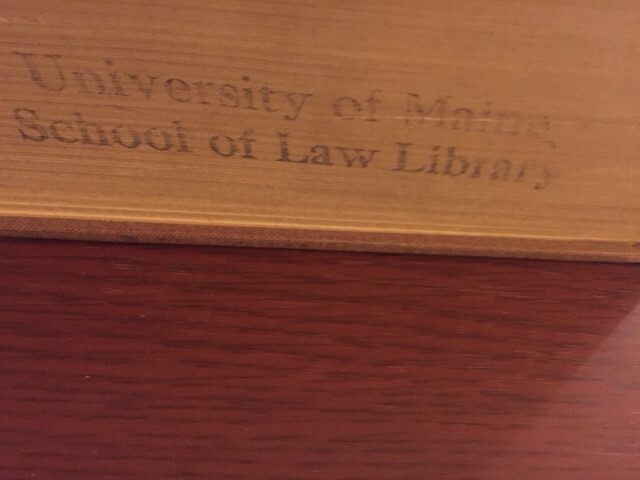 Stamped University of Maine School of Law Library. All sales, after expenses, go to support The Grief Warrior Project, a suicide prevention drop-in center in development. I’m also a volunteer for the American Foundation for Suicide Prevention (AFSP). FMI: Linda, 207 / 740-2247. 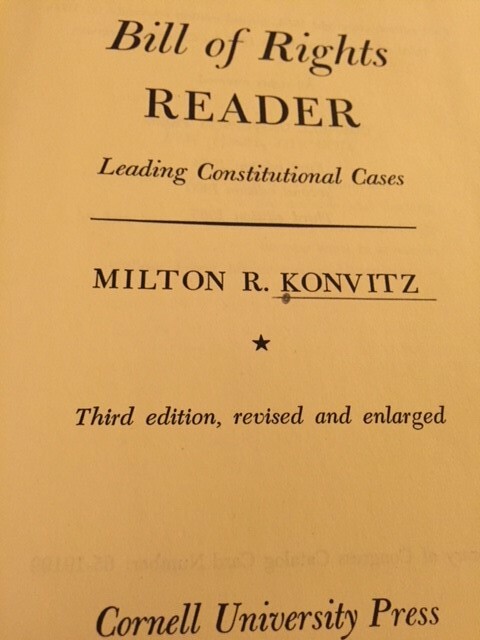 NOTE: Our 14,000 books, plus maps, sheet music and art will soon be available primarily on-line (with local delivery in the Auburn, Maine area available), while most of our vintage, antique and other inventory can be found at the Undercover Antique Mall in Oxford. We are booth number 56. 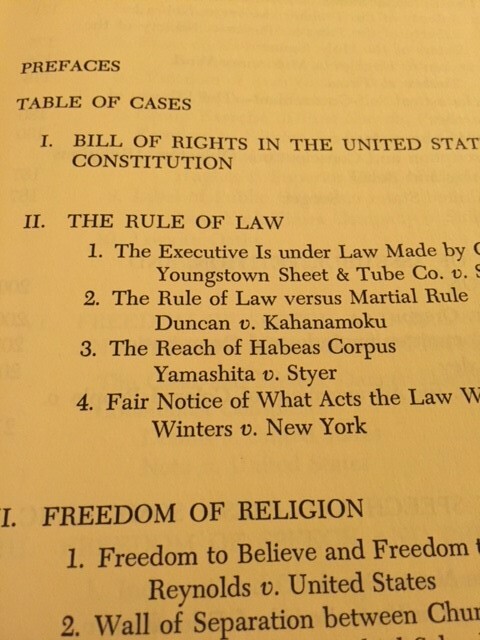 This entry was posted in Books - Government & Politics, Music - Sheet Music, Instruments & Ambiance and tagged bill of rights, government, law school library. Bookmark the permalink.